If you were lazy or too busy and couldn’t afford to spend time to manage your own portfolio but at the same time you would like to invest in the stock markets for more than 20 years, then buying index funds would be the “best” choice for you since it could provide you the “best” return. This is the conclusion after tons of studies and researches published in the books above. What is an index fund? It is just a basket of stocks or bonds or other asset classes that can be bought at low-cost to achieve broad diversification. Examples of index: Standard & Poor’s 500, FTSE Bursa Malaysia Kuala Lumpur Composite Index (FBMKLCI), etc. Example of index funds: Vanguard 500 Index Fund (VFINX). What is an ETF? It is just a fund that tracks a particular index. The difference between an index fund and an ETF is that the latter can be traded in a stock exchange. A search from Google turned out that there is a few online brokers offering these funds like TD Ameritrade, Charles Schwab, Fidelity, Etrade and etc. 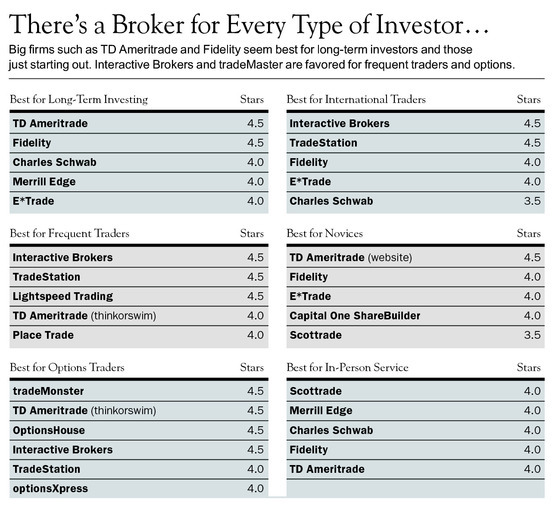 These brokers have their goods and bads among them and they are all based in the US. In order to open an account with them, I need to have an address in the US! Some of them allow international investor like TD Ameritrade, Charles Schwab (the latter requires $10000 deposit). 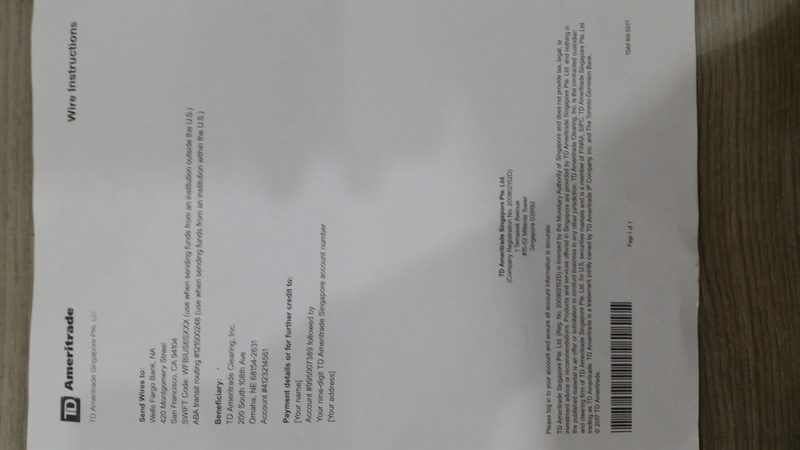 I tried my luck with TD Ameritrade by filling the online form, printed out and signed the form and sent it together with other supporting documents to the broker. TD AMERITRADE is currently unable to open new accounts for clients with mailing and/or physical addresses in Malaysia. This is a result of a thorough legal review of established regulations in your country. We appreciate your interest in opening an account and wish you the best in your investment needs. Thank you for contacting TD AMERITRADE and allowing us to assist you. So the conclusion is that TD Ameritrade does not accept investors from Malaysia. 🙁 Unless I use other’s address or I live in America or Singapore, then I couldn’t open the account with TD Ameritrade. So we can still buy ETFs from Malaysian stock exchange. I checked, these funds are available in i*[email protected] and HLEBroking trading platforms. FTSE Bursa Malaysia KLCI ETF (FBMKLCI-EA) is the first equity ETF in Malaysia. This ETF was initially known as the FBM30etf and renamed as FBM KLCI etf when its underlying index, the FBM KLCI was launched on 6 July 2009.FBM KLCI etf tracks Malaysia’s benchmark index. This ETF gives investors exposure to the 30 biggest listed companies that collectively represent the Malaysian stock market. 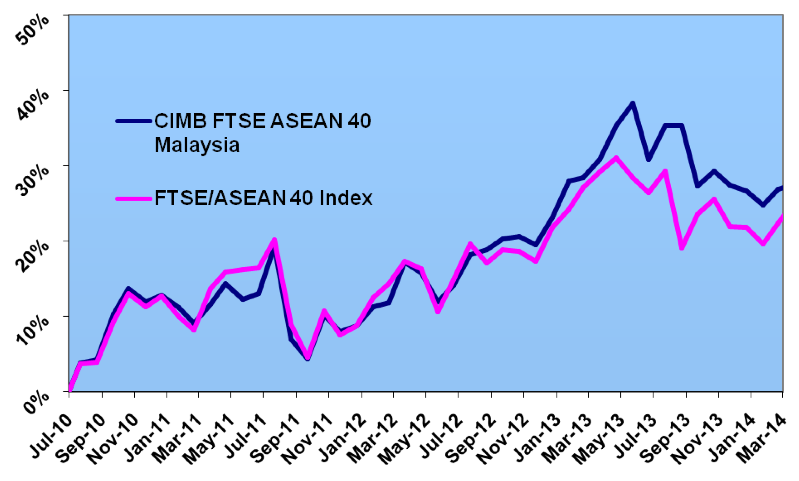 CIMB FTSE Asean 40 ETF Malaysia is the first cross-listed ETF in Malaysia. This ETF was primarily listed in Singapore in 2005 and tracks the FTSE/ASEAN 40 Index Fund. It’s a tradable index consists of 40 constituent stocks from 5 ASEAN countries namely Singapore, Malaysia, Thailand, Indonesia and Philippines. This ETF is specially designed to track the performance of ASEAN-5 markets. 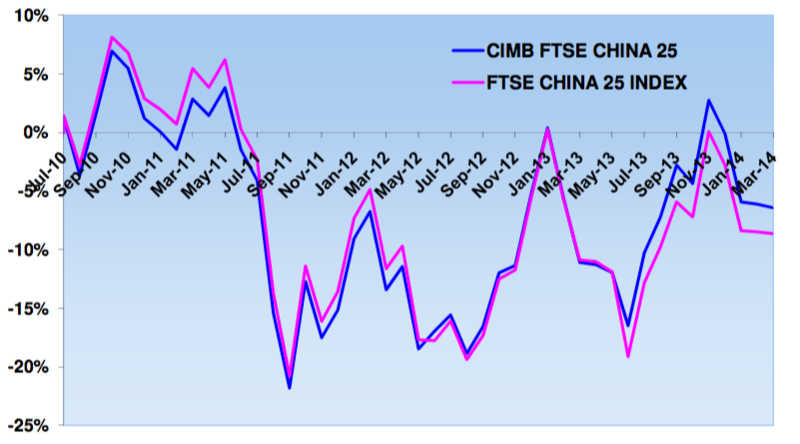 CIMB FTSE CHINA 25 is the first foreign underlying ETF launched in Malaysia. It tracks the FTSE China 25 index that gives exposure to 25 largest and most liquid Chinese stocks listed and traded on the Hong Kong Stock Exchange. MyETF Dow Jones Islamic Market Malaysia Titans 25 (MyETF-DJIM25) is the first national ETF and the first Shariah-compliant ETF in Asia. This ETF complies with Islamic investment laws and is supervised by a Shariah advising committee. As a national ETF, MyETF-DJIM25 is managed by a government-linked investment company.MyETF-DJIM25 gives exposure to 25 largest listed Shariah-compliant companies listed on Bursa Malaysia. MyETF MSCI Malaysia Islamic Dividend or MyETF-MMID aims to provide investment results that closely correspond to the performance of the Benchmark Index, which is a price return index comprising 16 to 30 Shariah-complaint securities listed on Bursa Securities, with higher than average dividend yield that are deemed both sustainable and persistent by MSCI. 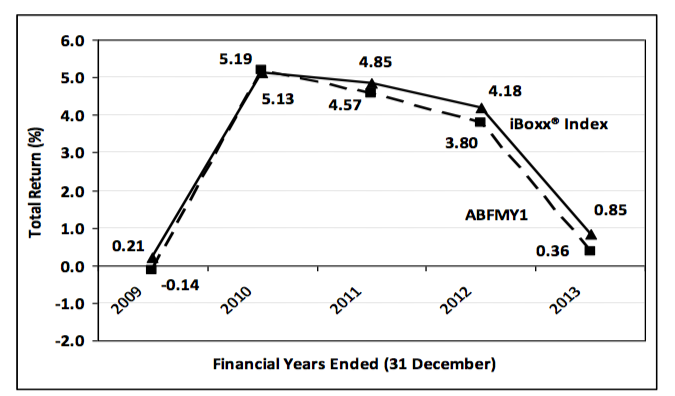 ABF Malaysia Bond Index Fund (ABFMY1) is the first ETF to list in the country. This is a bond ETF that suits investors with a more conservative risk profile and those looking at diversifying their portfolio with fixed income.ABFMY1 gives exposure to Ringgit denominated government and quasi government debt securities. With these low cost investment alternatives available, it is quite convenient to just mindlessly keep buying these funds which guarantee the “market” return over long term. However, all the studies mentioned in the books listed in the beginning of this post are done in the US market which is one of the most complicated and sophisticated markets. In other words, the US market is quite efficient therefore the indexing investing works well. The Asian markets, especially the Malaysian market, are quite new and young and therefore not efficient. This means passive investing by indexing in Malaysia might not work as well as expected. This entry was posted in Investment and tagged Finance on February 21, 2015 by Chok Leong. Was just doing some research on low-cost investing in Malaysia (I write a little about personal finance too), and came across your site. Just wanted to say Hi, and thanks for the very helpful information. Thanks for the info! Yes I read some articles that ETFs in US are very efficient and can be a great investment vehicle under our investment portfolio. unfortunately the ones in Malaysia are less popular, less volume and hence low liquidity. so U.S. ETF is not a good option for Malaysian? ;( My friend who lives in U.S. recommended Vanguard ETFs, but looks like it’s just for Americans. Recently, started to think about small investment. Any recommendations? No good nor bad. There are just more choices in the US (more ETF suppliers like iShares, Vanguard, PowerShares, WisdomTree, Guggenheim, etc). You can buy the Vanguard fund through international broker like TD Ameritrade (Asia). Hello! Just started to read about low-cost investing and stumbled across your website. Want to know how is it going for you for the TD Ameritrade? Are your stocks being automatically handled by them or do you have to manually trade yourself? TD Ameritrade serves its purposes well. I am happy with it. TD Ameritrade is just a broker who offers a range of products (options, stocks, ETFs) for you to purchase. So you need to trade manually by yourself. You pick your own stocks or funds to buy and sell. You look after your own portfolio. Basically, if you are a long term investor, there is nothing much you need to do actually. how about the fees charged by td ameritrade Sir? Are the fees good? Initially I joined TD Ameritrade Inc. which offers commission-free ETFs (no need to pay commission when you buy ETFs). However, due to their policy change, I need to move my account to TD Ameritrade Asia. The commission at TD Ameritrade Asia is $10.65 per trade. It is not the cheapest. But still acceptable. Hi Chok, any reason why you did not open an account with Charles schwab? Can I invest in Vanguard ETF through them? Charles Schwab did not allow international investors to register during the time that I was researching for online brokers in 2015. I just checked, they now allow Malaysians to open an international account. However, the minimum amount required is USD 25000 to open the account. Yes, you can invest in Vanguard ETFs (like VT, etc) in TD Ameritrade and other brokers. They are listed in the US stock exchanges. Hi! Great article. Thank you so much for sharing your knowledge. I am just starting out and have been learning about low cost and passive investing. 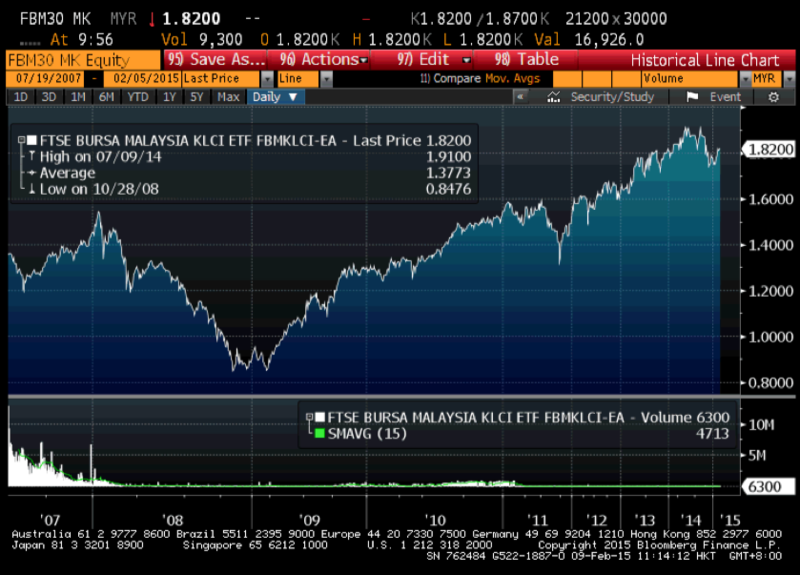 I am wondering if I should buy ETF that tracks the Malaysia market or buy ETF listed on Bursa Malaysia. What’s your opinion on this? And it’ll be helpful if you can update us with your journey with ETF investment so far. Thank you! ETF is just like an another “stock” to invest. One of the purposes of ETF is to make it easy to diversify at reduced cost. So I think there is no one ETF that is better than the other. Different ETF basically tracks different stocks. Based on my experience investing in ETF from Bursa, it performs better (less volatile) than my mutual fund in my PRS account. It also gives dividends that is comparable to fixed deposit. Also, I invest in ETF from the US. It performs well too recently due to Trumponomics. Thanks for the reply! That’s really interesting to learn from you that ETF you purchased from Bursa performs well. As some people are worried and often highlight the liquidity factor of the ETF listed on Bursa because generally Malaysians are not yet as exposed to ETF as compared to US. And also just like you mentioned, most research were done based on the US market. If you don’t mind can you share with me what’s your rule of thumb when it comes to ETF allocation? Like how many % bonds ETF, US market ETF % and etc. Thanks! My rule of thumb: 100 % in equity. 0 % in bond. This is a subjective question. It is all up to your own preference. Thank you! Based on your experience, is 10% of annual return from purely ETF investment alone a realistic goal for a newbie in investment? It is a realistic goal if you look at the long term (5 years and beyond) return from Malaysian market. If you reinvest your dividend, you could get more return in the future. However, there is no guarantee. Thank you! You’re an inspiration. Will keep reading your blog 🙂 keep up the good work! Hi! I would like to ask are there any tax implications for both ETF and Mutual Funds? Moreover, if i’m not mistaken, US tax law requires the withholding of tax for non-US persons (non-resident aliens) at a rate of 30% on payments of US source stock dividends, short-term capital gain distributions and substitute payments in lieu. In short, would it affect the return from Vanguard’s funds? For ETF in the US, it has lower tax than mutual fund because the former is usually passive and the latter is active. More trading means more taxes. But in Malaysia, I don’t know if there is any other difference. Tax will definitely impacts return. The question is by how much. Based on my old finding, it should still be within 1% expense. Hi Chok Leong. What are your recommended US, China and world etfs for Malaysian or Singaporean. Which stockexchange probably less costly for us? I have trading acc at cimb Malaysia and poems Singapore. I prefer US and world ETFs (this is not a recommendation). The cheapest stock exchange compared to other countries should be Bursa. RM8 per transaction. I cannot find it cheaper anywhere else. I don’t mind sharing. You still need to do your own due diligence for your own portfolio. Great write up and thank you. Just thought of going into this when unread Unshakeable by Tony Robbins. Looks like it is harder to do so if you are a Malaysian and not living in the US. As you something, how do you start this (investing) like through a broker etc? Plus, What is the minimum (thinking if doing it monthly basis)? I started investing by first opening the trading accounts (CIMB ITrade or HLEBroking or TDAmeritrade Asia). There is no minimum to invest. I invest what I can afford to invest. That’s it. The instruction form you attach here has enough detail for the transfer. You need to provide the payment detail (your name and your TD Ameritrade account number and your address) so that TD Ameritrade Asia knows what to do with the fund. If going to bank does not work, you can try online transfer. Hi JS, just wondering if you were successful eventually in transferring the funds. What document did you have to show? Were there restrictions imposed? (1) Any idea the returns listed in fundsmart y-o-y are net of commissions/ charges? (2) Are Malaysian ETFs available in Maybank share trading platform? Any idea? 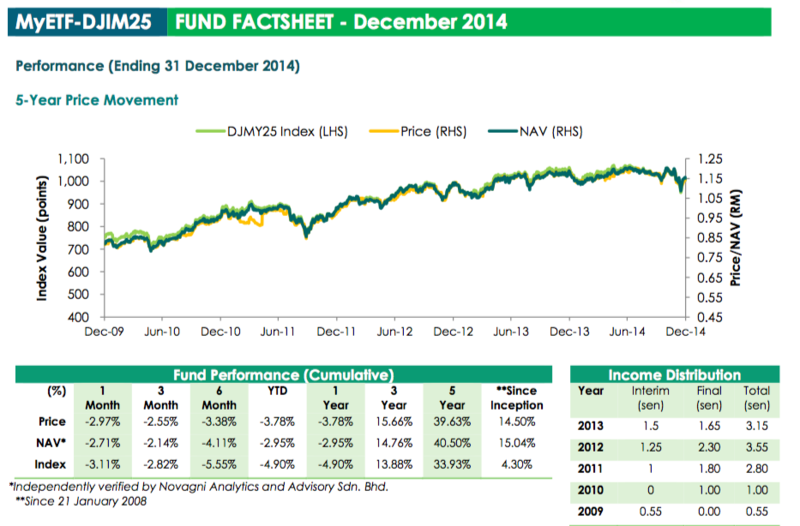 (3) What has been your experience with Malaysian ETF returns? XIRR? (1) The return is usually calculated before commissions and fees. There are lots of studies that show that investors earn less than the reported return of any funds. This is due to (a) the cost and expense, (b) the timing of purchases and (c) the investor’s own behaviour bias facing uncertainty. Therefore, the reported returns of the fund is for reference only. 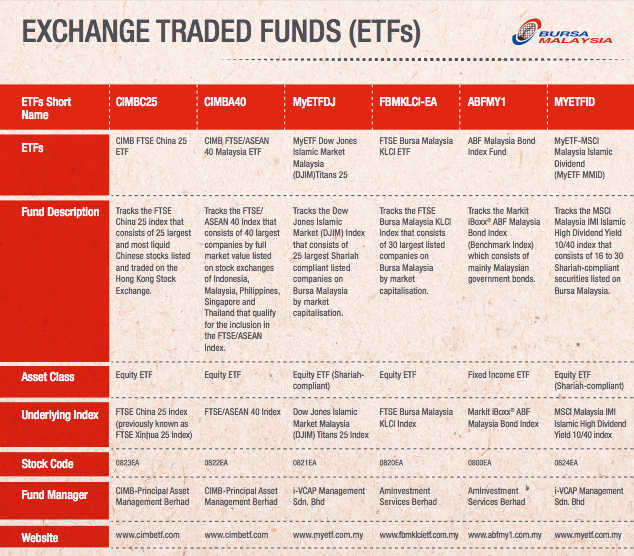 (2) All Malaysian ETFs will be available in Bursa stock exchange. This is regardless of trading platform. (3) I didn’t do any study about the ETF returns in my portfolio. So no answer for this. My experience is that the return tends to follow the return from the Malaysian market. 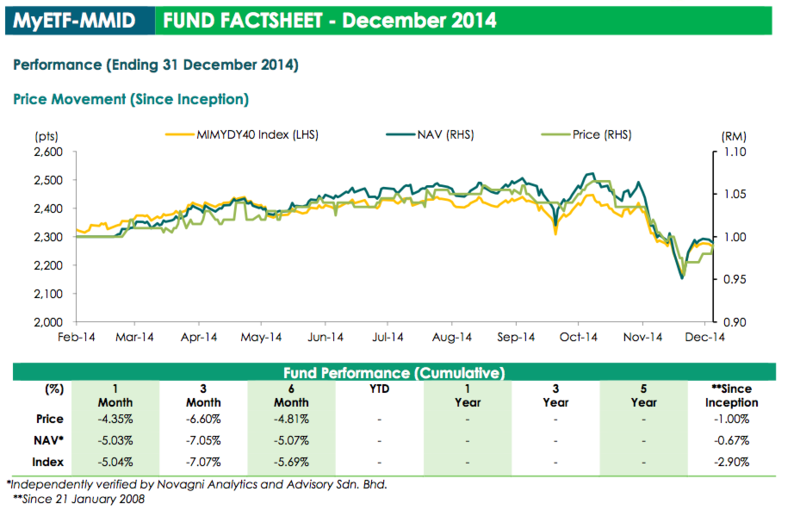 It seems to me that Malaysians can only invest in ETF’s and not Index funds? Or are they considered the same in Malaysia? Been searching online for index funds in Malaysia but only had luck finding ETF’s. You can buy the index through ETF since ETF tracks the index e.g. FTSE Bursa Malaysia KLCI Index. I don’t how to buy the index directly. There are mutual funds that offer index funds. But mutual funds costs are higher. Hey there, great article! I’m a newbie in the investing world and found this to be so very helpful! What are your thoughts on this and is there a catch? Saxo website changed a lot since last time I visited (many many months ago). Look very modern now. I never opened an account with Saxo therefore my view might not be accurate. I think overall the services offered will be similar with other brokers (like TD Ameritrade).